When you are in a car accident, it is a stressful and painful experience. You may ask why do I need an attorney? The answer is, dealing with insurance companies becomes more of a stressful factor as the insurance companies are not on your side. Insurance companies do not want to pay you the compensation that you deserve. At our firm we will take on your case from the onset and deal directly with the insurance companies to assure that your vehicle is repaired and you are paid the most compensation in your pocket. on a lien, it means that the doctor will wait to get paid until the case in completed. We have recovered millions for our clients. Our office responds to your inquires quickly and you can speak directly with the attorney. Your first meeting will be with an attorney not with a paralegal, like most offices do. If you are unhappy with your current attorney, we will give you a free case evaluation where you can speak directly with the attorney. Free and Confidential Consultations available. Evening and weekend appointment are available upon request. Welcome to our personal injury Page. Here you will find various information regarding personal injury and how we can help you. If you or someone you know has been injured and needs legal advice, please contact our office today for more information (909) 919-7201. Julieann R. Sayegh is a personal Injury Lawyer Serving all of Southern California (San Bernardino, Riverside, Los Angeles and Orange County). Personal injury lawsuits are filed by people (or their representatives) injured due to the negligence of someone or something else. The resulting injury can be physical or emotional and can come from a variety of sources. The most common types of personal injury cases include automobile accidents, slip and fall, medical malpractice, and product liability. If you or someone you know has been injured due to the negligence of another, we can help you get justice, reserve your rights, and compensation for your loss. We promise to aggressively and effectively represent you and your rights. We also assist clients with medical care options and advise them on insurance coverage and rental disputes. We are committed to outstanding client satisfaction. from medical specialists to help build strong cases designed to secure maximum compensation for you. It is important to understand your rights. Feel free to give us a call for a free consultation today. Traumatic Brain Injury Symptoms to watch for. care of us when we need it and while most medical providers do offer excellent care, some providers do not hold themselves to the normal standard of care. When these medical professionals fall below this standard of care, they may be guilty of medical malpractice. Medical malpractice can be negligent care, failure to diagnose, unsanitary conditions, surgical mistakes, hospital mistakes, and many other issues. Physicians, nurses, and hospital staff may also be guilty of medical malpractice. In California, there is a cap on non-economic damages for medical malpractice cases. Non-economic damages include pain, suffering, inconvenience, physical impairment, disfigurement, and other non-pecuniary injury, are limited to $250,000. 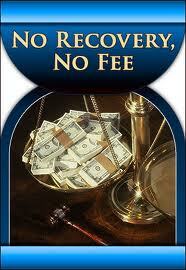 This cap allows only one $250,000 recovery in a wrongful death case for injury or death. Yates v. Pollock, 194 Cal. App. 3d 195, 239 Cal. Rptr. 383 (1987). However a spouse claiming loss of consortium can be a separate cap. Atkins v. Strayhorn, 223 Cal. App. 3d 1380, 273 Cal. Rptr. 231 (1990). that exceeds $600,000.00. Cal. Bus. & Prof. Code § 6146 (West 1990). This limit applies whether the case went to trial, arbitration or settled outside of court.